We offer specials and deals throughout the year to help you save money on your vacation to Pigeon Forge. Depending on when you reserve your room, we offer even more discounts! For example, if you reserve 30 days in advance, you can receive an extra 15% off your vacation reservation. Click here for all of our Pigeon Forge hotel specials. An easy way to save money is with our free wireless Internet. Many places charge you for WiFi throughout your vacation and sometimes the cost will be per day and really add up over your vacation. We are happy to give you free WiFi throughout your time with us so you can stay connected through the entire vacation. Our hotel in Pigeon Forge offers free parking for all of our guests. We also have a parking garage below our hotel so you can make sure your car is well taken care of during your vacation. We are also located right on the Pigeon Forge Parkway so you can walk to attractions and restaurants right from the hotel. This will save you from having to take your car out and park street side or pay for parking at many of the locations in Pigeon Forge. Instead of heading out to breakfast every morning, you can take advantage of our complimentary breakfast to save a little money. This is a great way to fill up before the day gets started so you’re ready to head out into Pigeon Forge or go hiking in the Great Smoky Mountains National Park. If you’re looking to kick back and relax for a few hours during your vacation, our pool area is a great place for that. We know that you don’t always want to be on the go during vacation, but sometimes kids or other family members want to be constantly entertained. Our pool area will help keep everyone entertained without having to spend any extra money and it also gives you a place to sit back and relax. 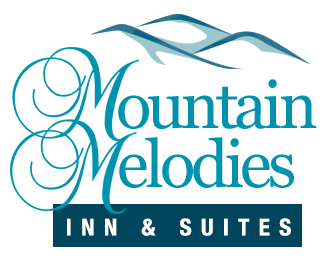 Go ahead and reserve a room at Mountain Melodies today! We will make sure you receive the best deal on your vacation to Pigeon Forge. Click here to look at all of our Pigeon Forge hotel rooms to choose the one that is best for you.